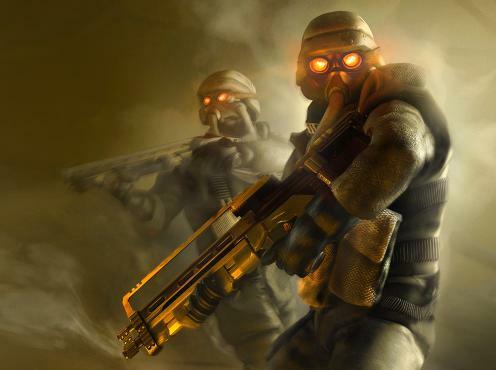 Killzone 2 – PlayStation 3′s answer to Halo ? Gametrailers.com has released several jaw-dropping trailers for Killzone 2, the long awaited first person shooter that will be, based on both Gametrailers.com and EBGames.com, released on Feb 27th. If all goes well, this will be the first game to get in 2009 for PlayStation 3. This trailer shows off some amazing game plays as well as giving us a glimpse of piloting a walking tank with rocket launcher and machine gun for some crazy destruction. Although its a “cam” version, you can still no doubt see this game is pretty high quality. From the, in my opinion, realistic enemy deaths, to extremely detailed environments. But one question still haunts me is how good the AIs are going to respond to you and the environments, from what I can remember from previous trailers, the AIs are somewhat dull and stupid. I certainly hope I am wrong! This one called Ballet of Death, also a “cam” version shows off how enemies die in a very artistic way with classy background music. You can see the death animations are nicely designed in slow motion. There are many people saying Killzone 2 is going to be the Halo killer. While I believe this game is going to be blockbuster, unless something goes wrong….again, where a game cannot live up to the hype it generates. Either way, I won’t quite call it a Halo killer, since Halo its just as amazing and so its more like the PlayStation 3 version of Halo. Come to think of it, then it becomes somewhat insulting to all the PS3 fans in my opinion if I put it that way. Therefore I’m going to simply leave it as PlayStation 3′s own blockbuster and exclusive first person shooter. Can this be one of the signature games for PS3? I guess we will have to wait and find out when the full version comes out or if Guerrilla decides to release the rumored demo. Yup, that is a insult to all PS3 fans. Why are Halo and Gears games taken as fundamentals of action/adventure genre. They haven’t done anything new from the start of their lifecycle, Halo has same gameplay mechanics from first, same for gears. While killzone 2 has made drastic changes from the first, so it is unique in it’s own way. Stop comparing Ps3 games to xbox games. Go other way around, why aren’t Ps3 games like MGS4 compared to Xbox games? MGS4 should be a standard for all third person shooters because it has set new standards in gaming. IMHO, this outweighs Halo, it’s a different league altogether. Halo is so overrated its annoying. Although we all know killzone 2 will probably be multitudes better than halo, it really needs to outsell halo 3 to really get the point across. I mean just because a gazillion dumbarses were fooled into buying halo doesn’t mean it was any good but microsoft won’t let you think that. I like and own both systems but killzone is going to ruin halo as far as gameplay and graphics. Lets just hope it sells well too to make it “offiical”. BTW the demo is damn awesome, go download it. It’s short but great! Killzone 2 is waaaay better that Halo!